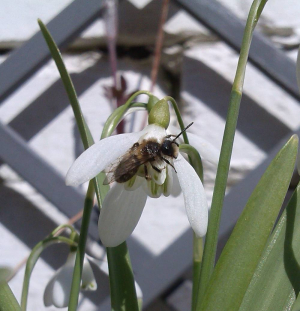 Observation - Snowdrop bee - UK and Ireland. Description: Seen in urban terrace backyard. Seen in urban terrace backyard.